This was my first adventure with the Shroud and what an adventure it was. I was 26 and a graduate from the London Film School making trailers for feature films and corporate documentaries. I had a garret of an office in Wardour Street, Soho. I had advertised the fact that I was looking for ideas. I was deluged but one thing that turned up intrigued me more than anything else. 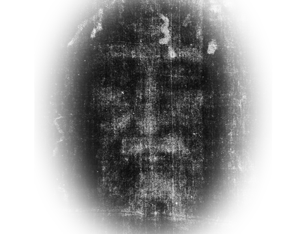 It was the negative image of the face on the Shroud which I had neither heard of or seen. A historian, then working in advertising called Ian Wilson sent it to me. What happened next would be life changing for both of us. I won a BAFTA and Ian had a world-wide best seller on his hands. The Shroud was in the headlines and ruffling feathers - just as the man depicted on it did 2000 years ago. All of the new research the film revealed remains valid.